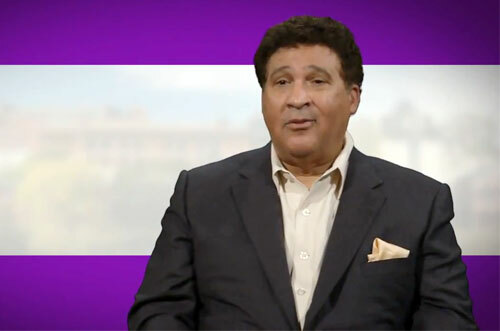 Greg Gumbel is a television sportscaster best known for his various assignments on the CBS network (most notably, the National Football League and NCAA basketball). As the older brother of news and sportscaster Bryant Gumbel, he became the first African American announcer to call play-by-play of a major sports championship in the United States when he announced Super Bowl XXXV for the CBS network in 2001. Gumbel left NBC after the network broadcast of Super Bowl XXXII to return to CBS. His first major assignment was to serve as studio host for the network’s coverage of college basketball, including the NCAA men’s basketball tournament, something he continues to do to this day. Sports Speakers 360 is a booking agent for pro athletes. If you would like to book Greg Gumbel for a speaking engagement, appearance or endorsement, contact a Greg Gumbel booking agent for fees at 1.855.303.5450.